YU has launched their first phablet, Yu Yureka Note, in India with a huge 6.0 inch display at a price tag of Rs. 13,499. Earlier YU emphasized only on small screen devices that provided great value for money but this is for the first time that they have targeted the phablet market in India. 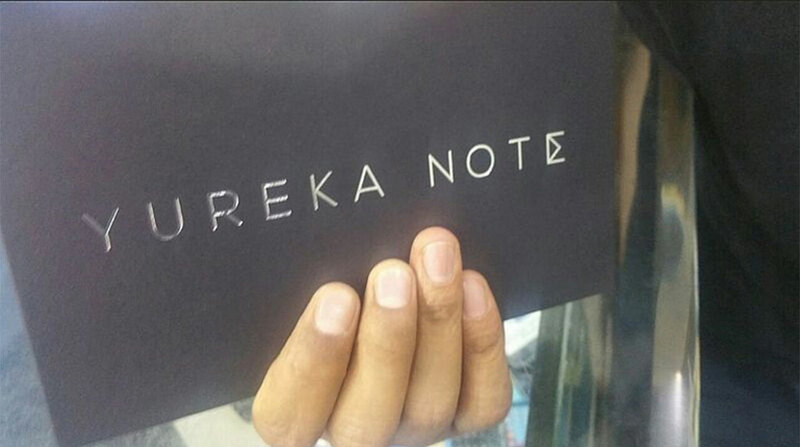 Yu Yureka Note will be a direct competitor for Xiaomi Note devices and other medium ranged phablets. Yureka Note support both 3G and 4G networks in India, which allow users to get the maximum downloading speed of 150Mbps. Yu Yureka Note features a 6.0 inch IPS display with full HD resolution of 1080 x 1920 pixels, which has a protection from Corning Concore Glass 3. The device runs on a custom OS that is based on Android Lollipop, but it is expected that it will get the Marshmallow update soon. The device is equipped with Mediatek MT6753 Octa-core processor which is clocked at 1.5GHz accompanied with Mali-T720MP3 GPU. It has 3GB of RAM and 16GB of internal storage, though it can further be expanded up to 128GB by using micro SD card. When it comes to camera section, Yu Yureka Note has 13MP primary camera along with a 8MP front shooter. It has a dual-LED flash and can capture videos in full HD resolution (1080p). The other features include Dual SIM support, DTS audio, fingerprint sensors, microUSB v2.0, WiFi, Bluetooth and 3.5mm audio jack. The device is packed with 4000 mAh non-removable battery which support fast charging. The phone will be available in Black color only. Recently Micromax, parent company of YU, has launched Canvas 6 and Canvas 6 Pro at a similar price range, Rs. 13,999 to be precise. It also carries a similar specifications but with smaller screen and battery but compensating that with 4GB RAM, 32GB internal storage and faster processor. At Rs. 13,499 Yu Yureka Note is definitely a great deal, if you like big screens. Some alternatives at similar price range are Samsung Galaxy J7 (Rs. 14,150), Lenovo K4 Note (Rs. 11,999), OPPO F1 (Rs. 15,499) and OnePlus X (Rs. 14,999). To get more information on upcoming smartphones from YU, stay tuned with us.